Stunning mixes combine complimentary colors so you have the variety you need for your next project. 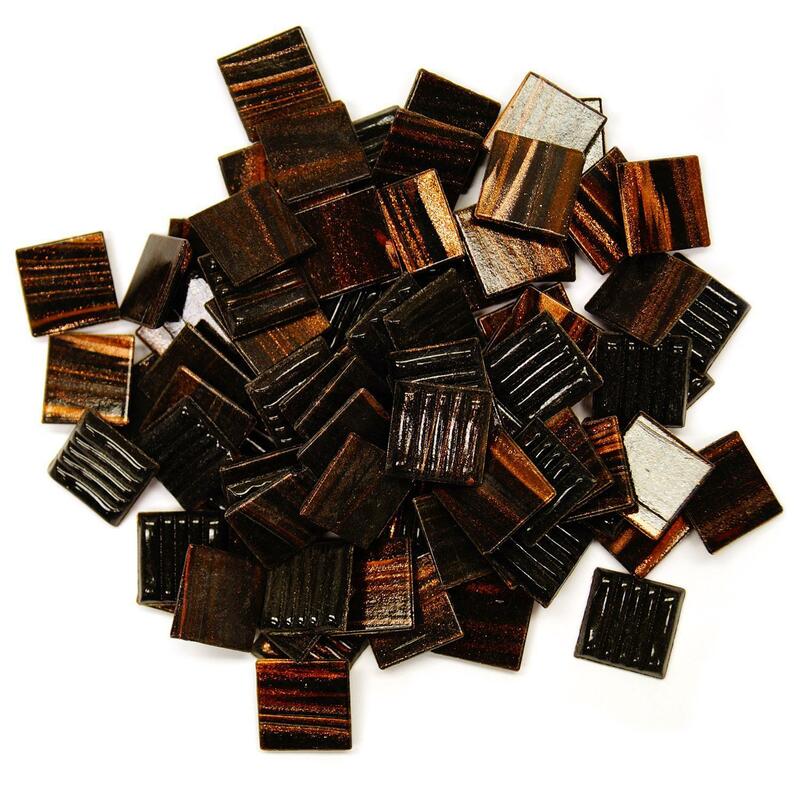 These beautiful tiles have gold streaks for that extra sparkle. 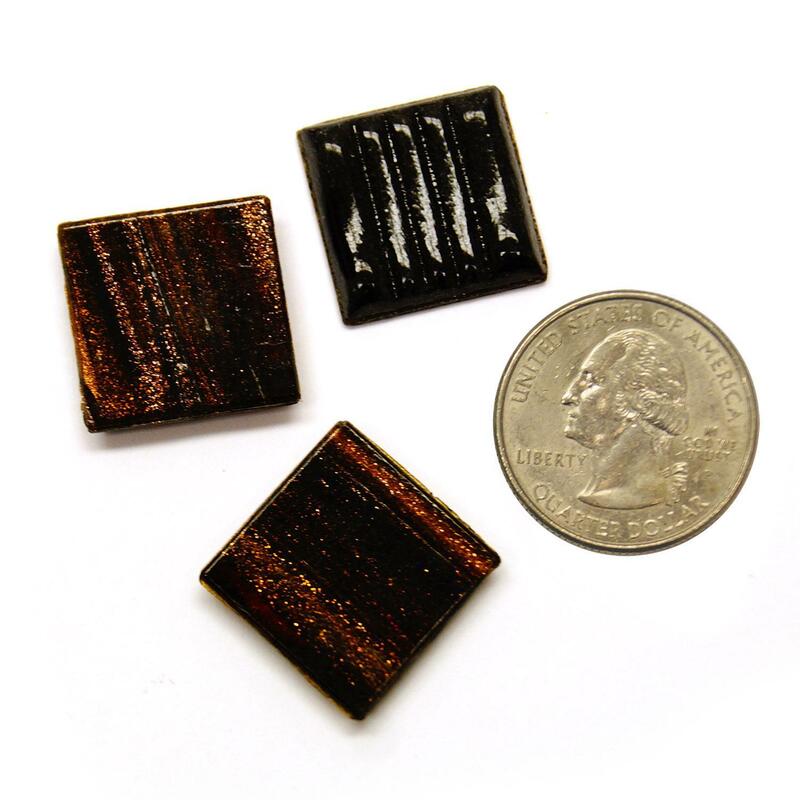 Square tiles measure 3/4" and are about 1/8" thick. Packaged in 1/2 lb. 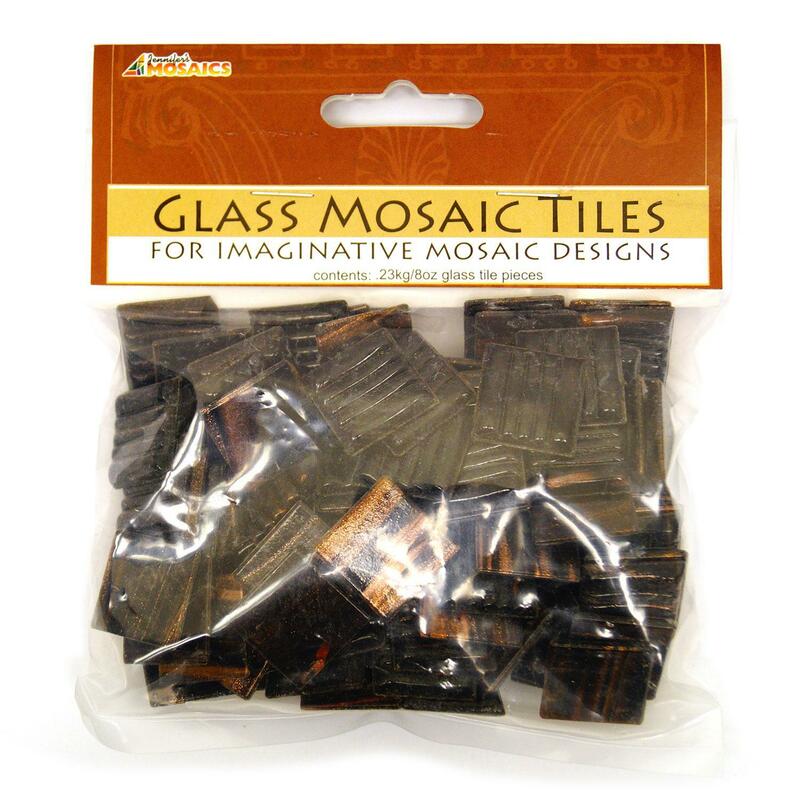 bags containing about 70 tiles each. Covers approximately 45 square inches. Product may very slightly from image. 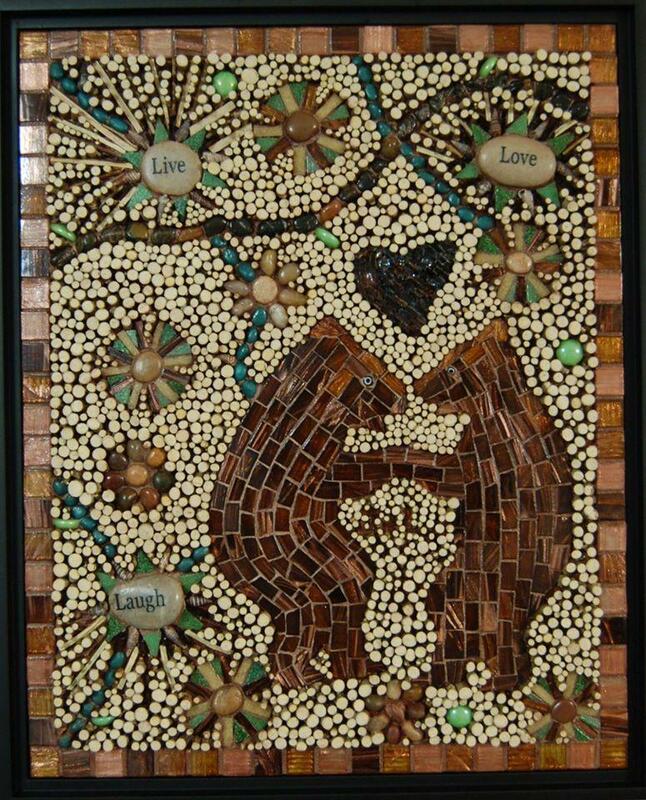 Mosaic dancing bears by artist Eleanor ParrDiLeo of Designs by Elanor, from Delphi's Online Artist Gallery. 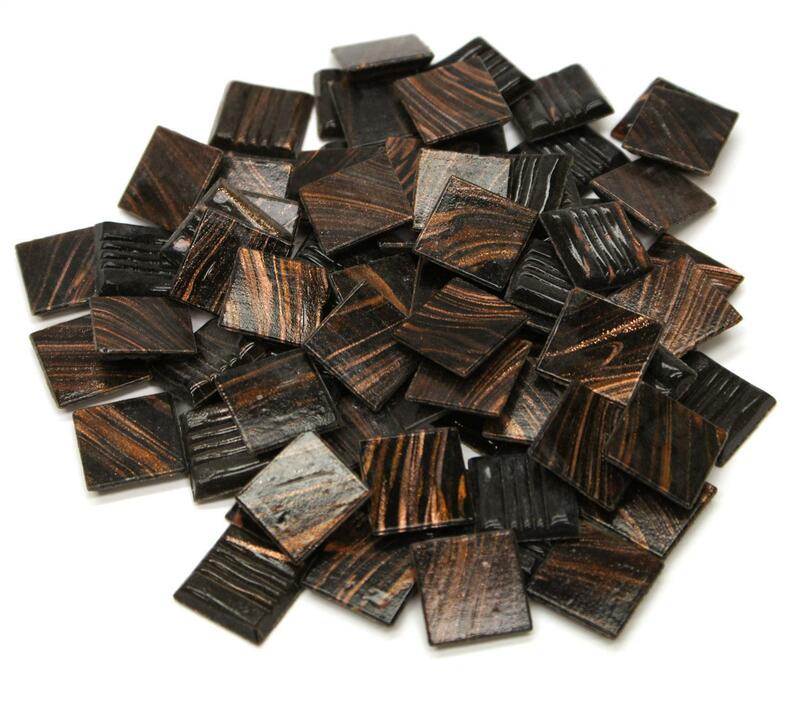 Pros : Yes, they are square, smooth-edged and have what is more like copper veining (which I like). Cons : I also ordered black and you can barely tell them apart.